Heat oven to 400°F. Spray 12-cup muffin pan with cooking spray. In large bowl, stir together Bisquick mix, milk, oil and egg. 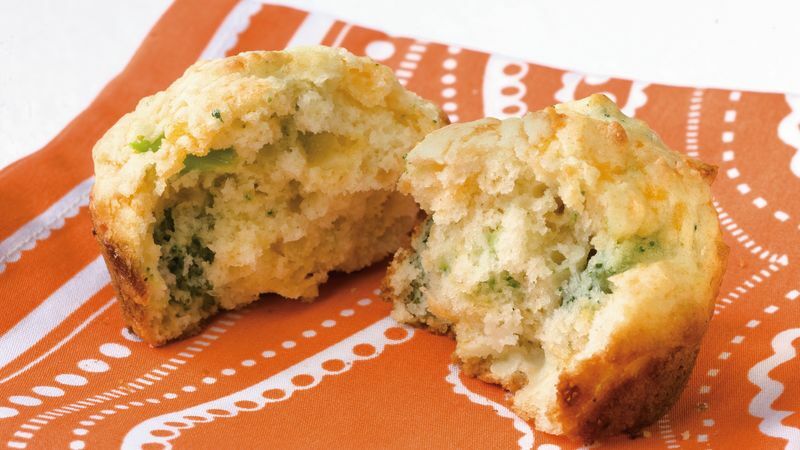 Stir in broccoli, cheese and onion powder just until combined. Spoon mixture evenly into prepared muffin cups. Bake 8 to 10 minutes or until golden brown. Cool 5 minutes; remove from pans. Serve warm. Wrap and refrigerate any leftover muffins. Reheat one muffin in microwave oven 15 to 30 seconds or until warm.